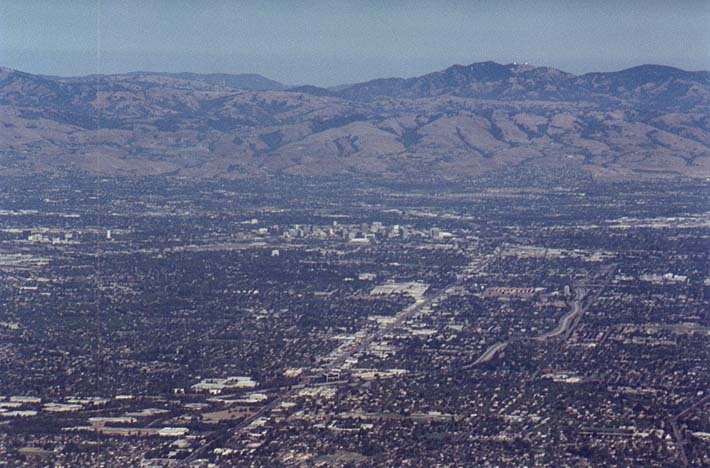 Downtown San Jose from about 15 miles away. 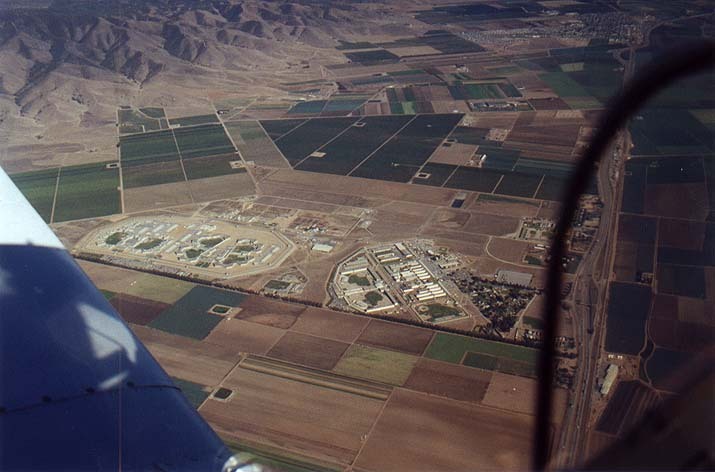 Soledad State Prison, Soledad, CA. 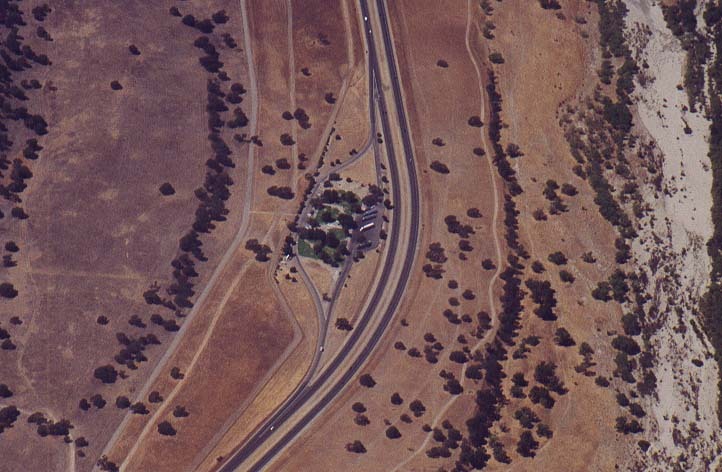 Some interesting California terrain, North of Paso Robles. 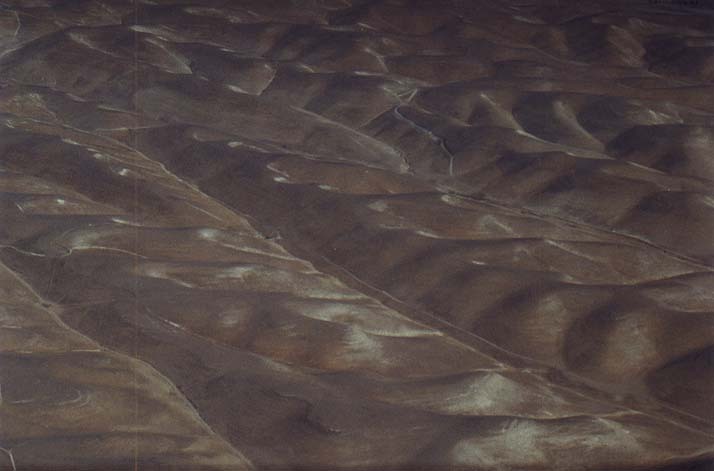 More interesting terrain. 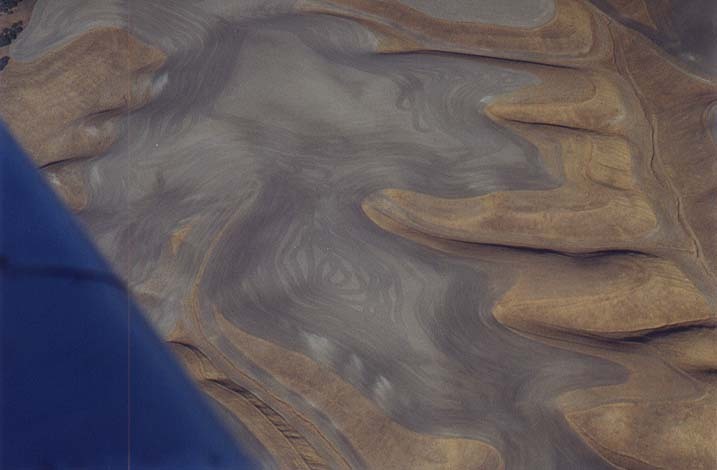 This looks like land being prepared for farming. 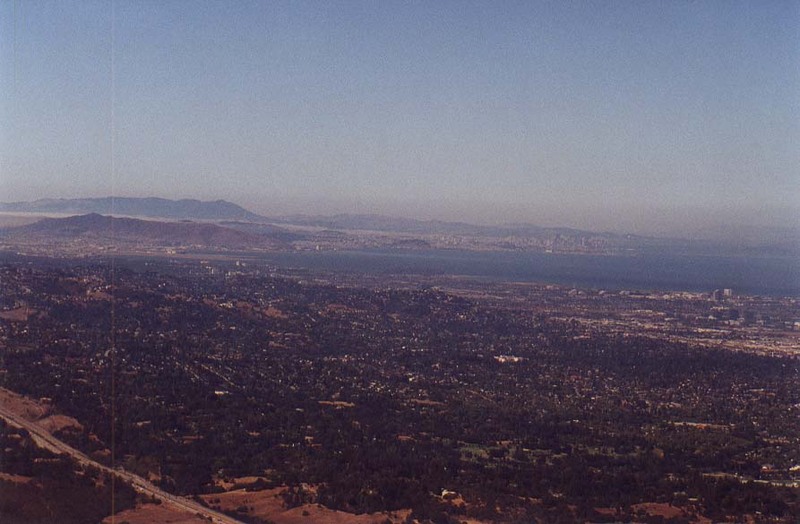 A view Northward down Los Osos Valley Road. 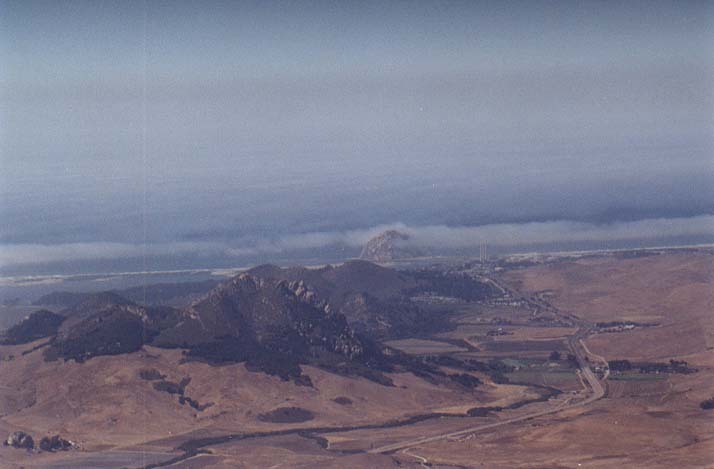 Looking Northward down highway 1 at Morro Bay, CA. 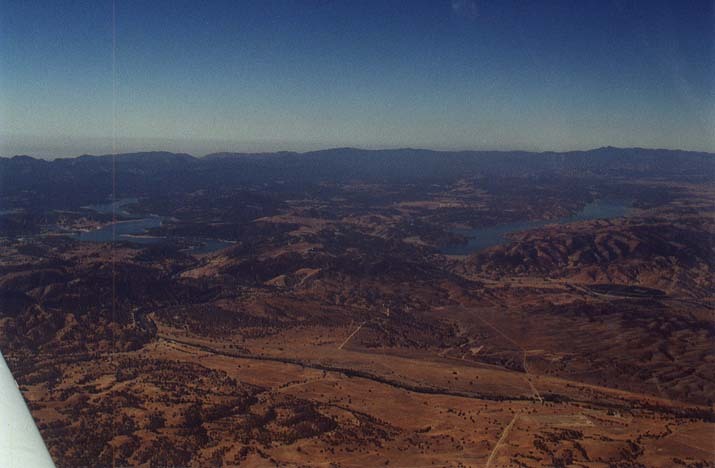 Lake Nascimento on the left; Lake San Antonio on the right from about 7000 ft high, 20 miles away. 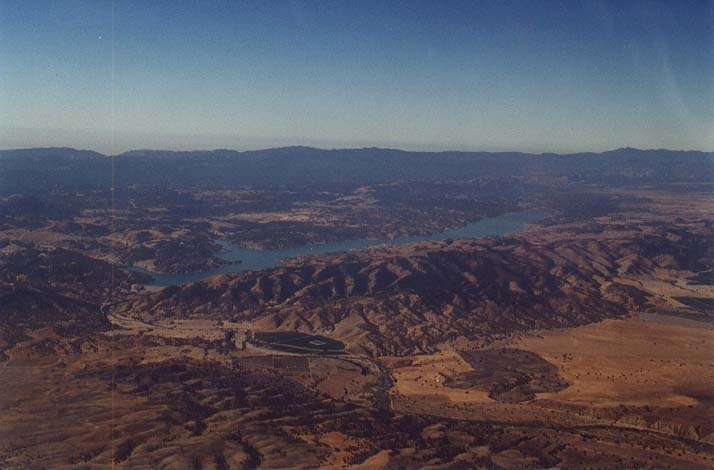 A closer picture of Lake San Antonio. 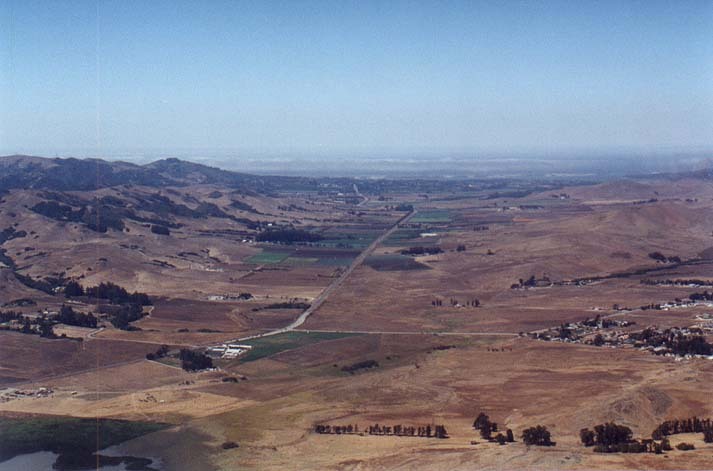 A rest stop along highway 101, 30 minutes North of San Luis Obispo. 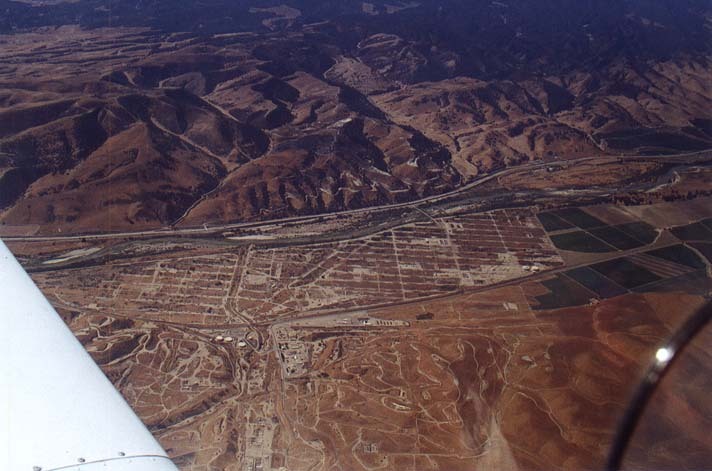 The San Ardo oil fields. 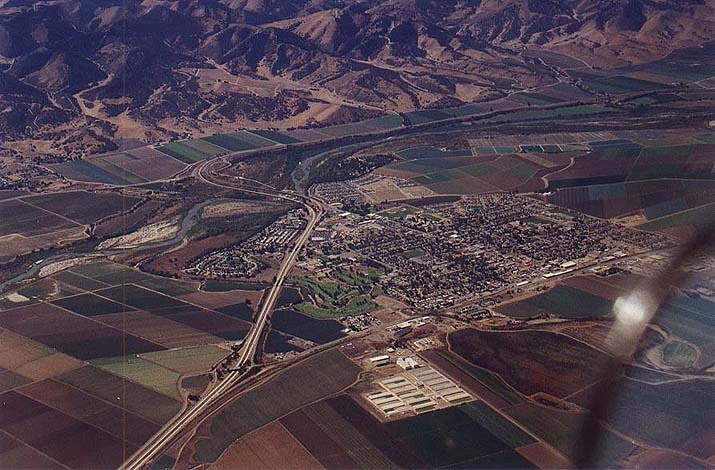 King City, CA. Land of speed traps. 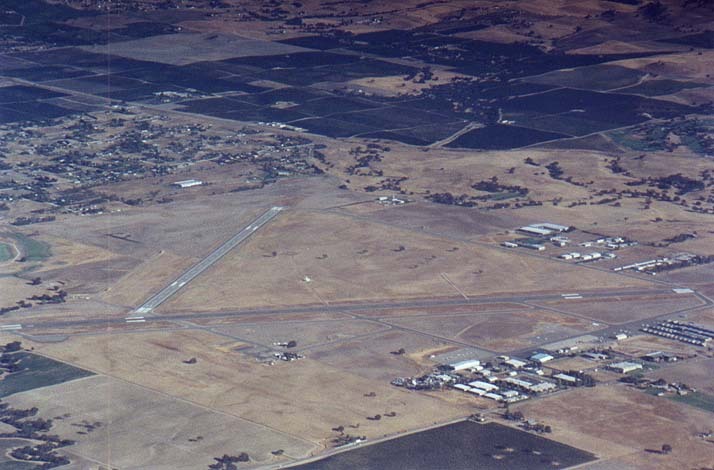 A closer view of King City. 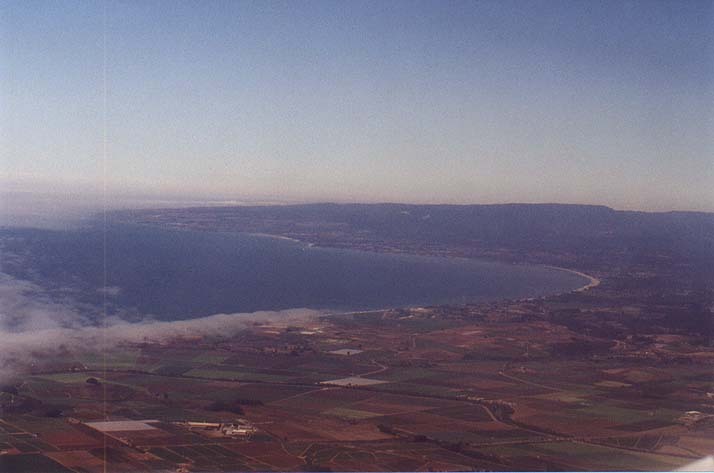 A view of the Monterey bay looking Northwest from over Salinas. 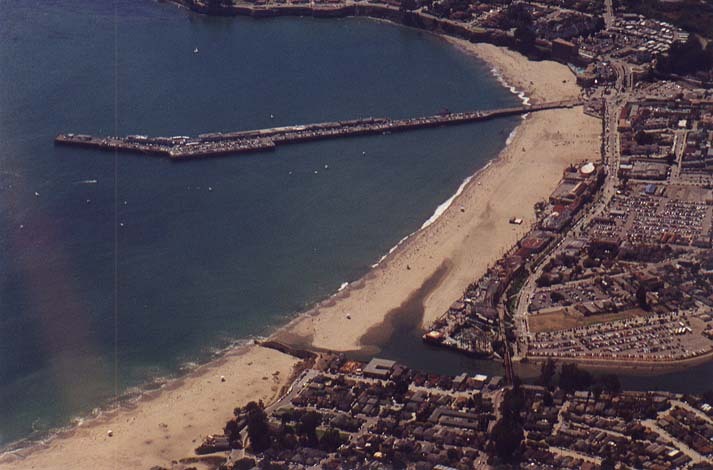 The Santa Cruz beach boardwalk. 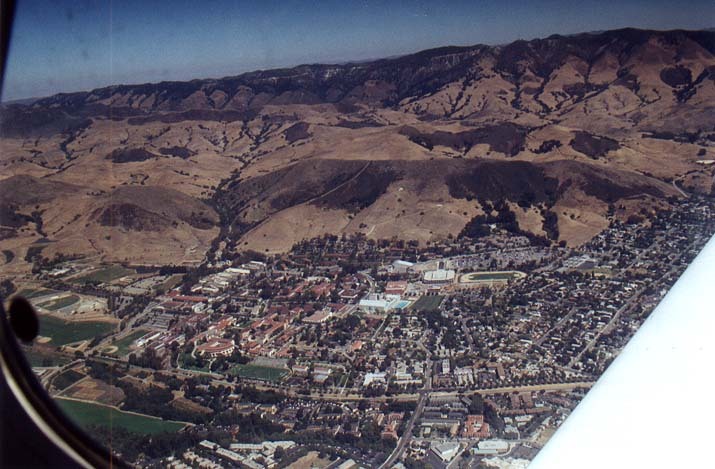 The San Francisco Peninsula. SF itself is at the right side of the picture above the water. 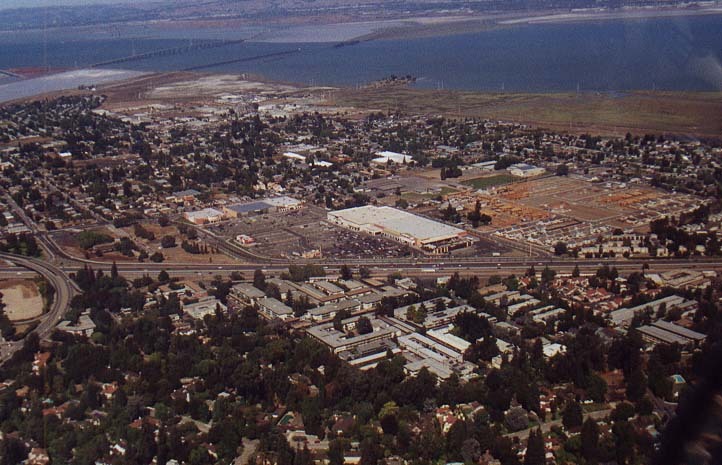 East Palo Alto. 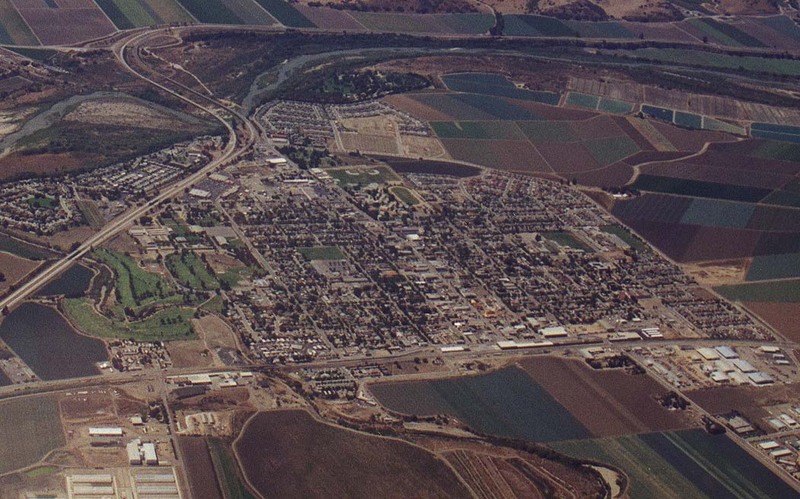 The new Home Depot center is in the center of the picture.